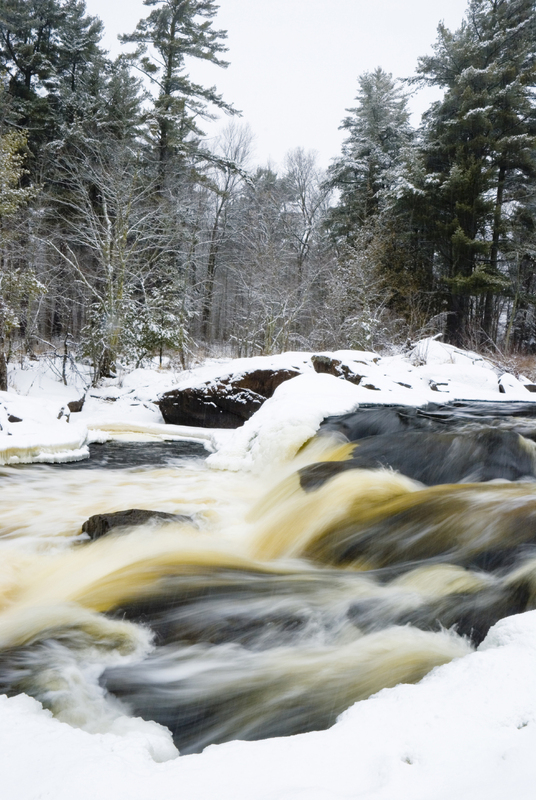 Containing over 87,000 acres, the Flambeau River State Forest offers something for every recreational interest. 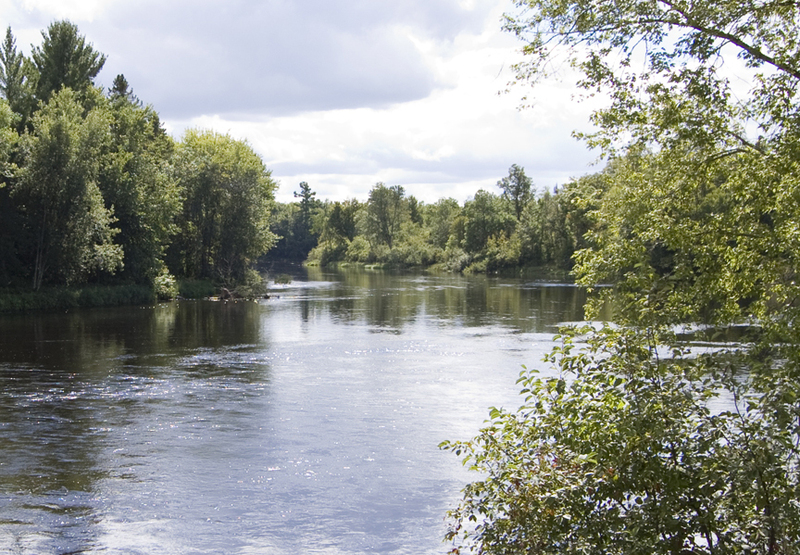 There is canoeing on the North and South Forks of the Flambeau River. Everything from leisurely, calm waters to roaring rapids and white water entice the beginner to the expert paddlers. Camping sites are located at Connors Lake and Lake of the Pines, providing relaxation, outdoor beauty, swimming, hiking, fishing and picnic areas. 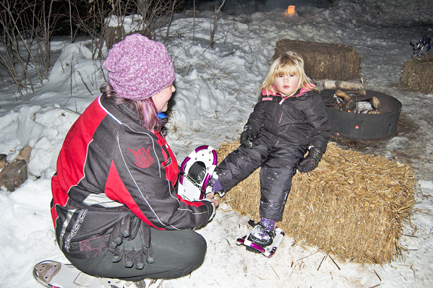 Cross-country skiing at night by candlelight will be offered for the twenty-fourth year at the Flambeau River State Forest. The event will be held from 6:00-9:00 p.m. on Saturday the 4th of February 2017, at the Flambeau Hills Trail Head. 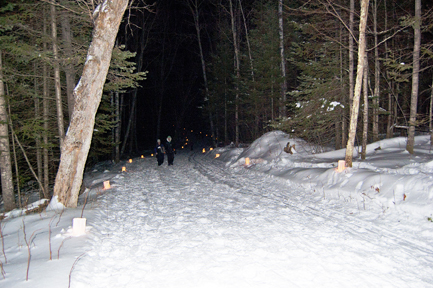 A 1.8 kilometer loop of trail will be groomed, tracked and lit with over 600 candles. The trail is for skiers or hikers and winds through the heart of the forest. The trail is wide enough for diagonal striders and skate skiers. Hiking and snowshoeing are also permitted during this event. The Forest Staff promotes this as a casual family-type outing and hopes that families and friends come and spend the evening with them. The candles should provide a luminescent atmosphere for all to enjoy. Starting at 5:00 p.m. that Saturday all day-use fees at the trail head will be waived. The Flambeau Hills Trail Head is located on County Highway “W” 21 miles west of Phillips and 15 miles east of Winter. Note: This event will take place regardless of snow conditions. If there is no snow, take a candlelight walk.